Josh and his family have lived in Taunton since 2008 and began attending CCC in 2012. He and his wife Georgia have been married for 13 years, and are blessed with four delightful, energetic boys: Drew (10), Victor (8), Gabe (6), Philip (4). Josh has served on the Worship and Media teams here at CCC. Born in Pittsburgh, he graduated with a mechanical engineering degree from Carnegie Mellon University, eventually moving to Boston and earning his M.S. in engineering at Boston University. He now works at Waters Corporation as a mechanical engineer. 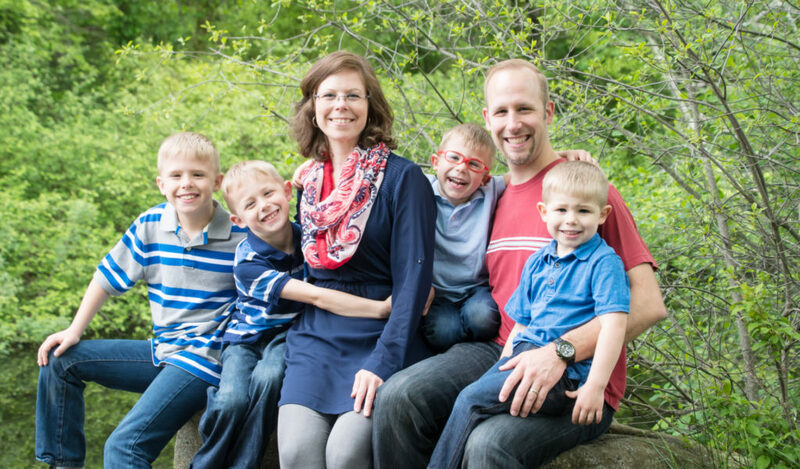 Josh’s big passions are music and mountain biking, both of which he is blessed to enjoy with his family.